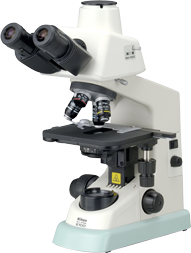 The Eclipse E100-LED is an educational microscope offering outstanding optical performance combined with advanced ergonomic features, making operation remarkably easy and stress-free. Designed for years of high quality use, the Eclipse E100-LED is an upright microscope with outstanding optical performance combined with elegant ergonomic touches. 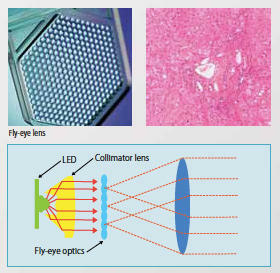 The E100-LED, ideal as an educational or student microscope, incorporates Nikon’s exclusive CFI infinity optical system and an high-intensity LED eco-illumination system that is IR-free, virtually eliminating eyestrain for users. In addition, advanced Nikon BE Plan Achromat objectives have been designed especially for the E100 with excellent optical corrections and very flat optical performance. 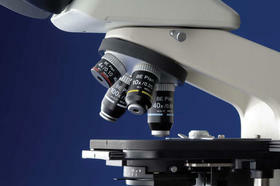 This means clear, bright images at every magnification. The E100 incorporates a high-intensity LED eco-illumination system that is IR-free, virtually eliminating eyestrain for users. Eco-illumination boasts a long lifetime of 60,000 hours, and reduces the need for frequent lamp changes. LED illumination also offers very low power consumption and heat generation and eliminates color temperature changes that occur with halogen light sources. 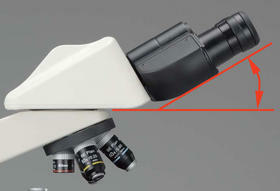 Turning the microscope upside-down to replace lamp is no longer necessary. 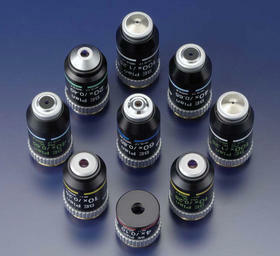 Simply open the top corner on the base to replace the 6V/20W halogen lamp safely and easily. 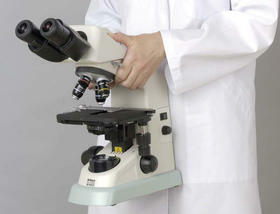 Microscope comes standard with 4x, 10x, 40x, and 100x objectives. 20x and 60x Dry objectives are also available. Utilizing a lightweight design, the Eclipse E100 was created with a small footprint that is compact and easily fits into a storage cabinet. Specially designed for the E100, CFI BE Plan objectives provide a bright, high contrast and flat-field image over the entire 18mm field of view. The Eclipse E100 incorporates Nikon’s revolutionary CFI Infinity Corrected Optical System with advanced specifications for crisp, bright images at every magnification at a modest price.